JNTUA B.Tech / B.Pharmacy 2-1, 3-1 (R09) Supply Results Nov/Dec 2015. JNTUA B.Tech 2-1, 3-1 (R09) Supply Results 2015 are declared at http://jntuaresults.azurewebsites.net. 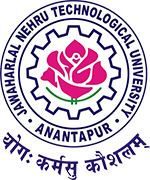 JNTU ANANTAPUR has announced B.Tech / B.Pharmacy 2-1,3-1 (R09) Supplementary Examinations Results Nov/Dec 2015 on 29th february 2016 at JNTUA official website. Students know your results from below given links.